Parmentier is a French version of shepherd's pie. 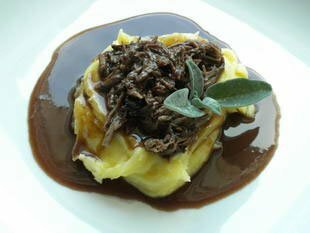 This variation has slow-cooked meat on top of the mashed potato (purée), instead of underneath. A red-wine sauce adds the finishing touch.